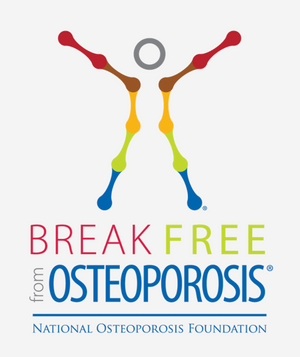 May is National Osteoporosis Month! We hope you will join us in celebrating bone health. A healthy diet, one rich in fruits and vegetables and calcium and vitamin D, as well as weight-bearing and muscle strengthening exercise, are critical elements in building Peak Bone Mass and maintaining bone strength throughout our lives. Diet and exercise play critical roles in building and maintaining good bone health for people at every life stage–from infancy through adulthood. The food that you eat can affect your bones. Learning about the foods that are rich in calcium, vitamin D and other nutrients that are important for your bone health and overall health will help you make healthier food choices every day. If you eat a well-balanced diet with plenty of dairy, fish and other lean proteins, fruits and vegetables, you should get enough of the nutrients you need every day, but if you’re not getting the recommended amount from food alone, you may need to complement your diet by taking multivitamins or supplements. According to the National Osteoporosis Foundation (NOF), getting enough calcium is important for building and maintaining strong bones. 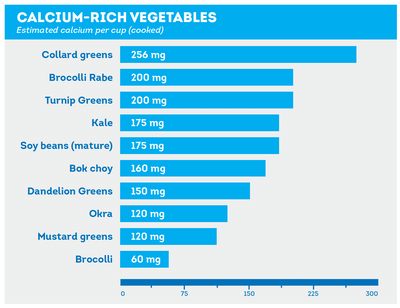 Many people ask how much calcium they should be getting from food or supplements. 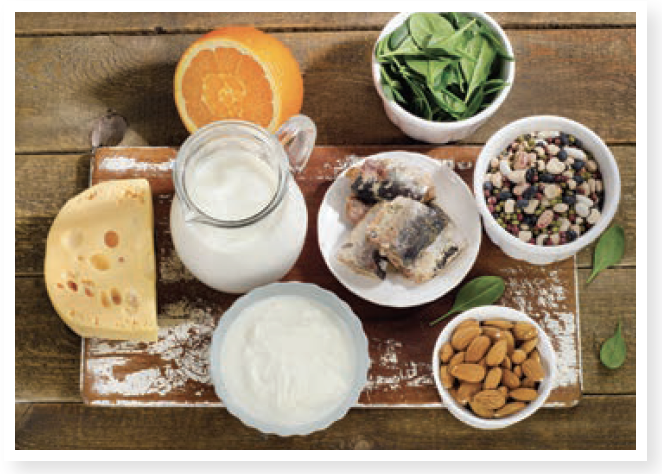 Start by reviewing NOF’s Daily Calcium Recommendations to learn the total amount of calcium you need each day. Then estimate the amount of calcium you get from your diet and complete the Calcium Calculator chart to determine whether you’re getting enough calcium to meet your daily needs. Under age 50 need a total of 1,000 milligrams (mg) of calcium* every day. Women age 50 and older (or any women who is not menstruating) need a total of 1,200 mg of calcium* every day. Under age 71 need a total of 1,000 mg of calcium* every day. Age 71 and older need a total of 1,200 mg of calcium* every day. Your body needs vitamin D to absorb calcium. If you do not get enough vitamin D, you are at greater risk of bone loss and broken bones. 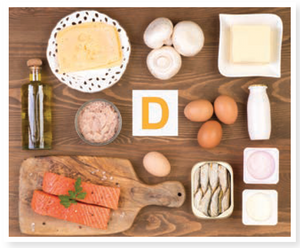 You can get small amounts of vitamin D from a few foods, like fortified milk, liver and fatty fish (e.g., wild mackerel, salmon, sardines and tuna). 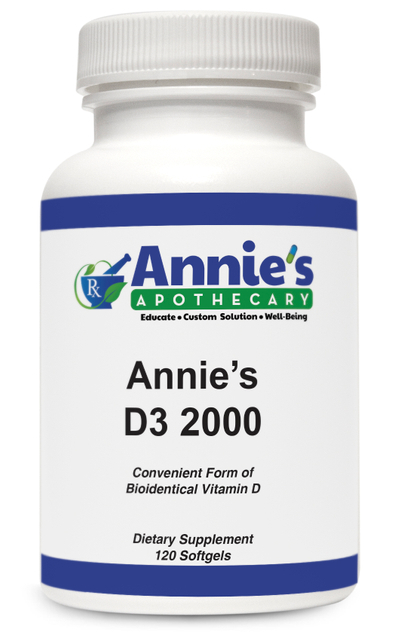 Your skin can make vitamin D from the sun, but getting too much sun can be harmful, and sunscreen blocks out vitamin D.
Need a Vitamin D supplement? Vitamin K. Sources include dried plums (prunes) and certain dark green leafy vegetables like kale, collard greens, spinach, mustard greens, turnip greens and Brussels sprouts. Potassium. Sources include dried plums (prunes), tomato products, raisins, potatoes, spinach, sweet potatoes, papaya, oranges, orange juice, bananas and plantains. Magnesium. Sources include spinach, beet greens, okra, tomato products, artichokes, plantains, potatoes, sweet potatoes, collard greens and raisins. Vitamin C. Sources include red peppers, green peppers, oranges, grapefruits, broccoli, strawberries, Brussels sprouts, papaya and pineapples. Try to eat 1.5 cups of fruit and 2 cups of vegetables every day for bone and overall health. Recent research has found that olive oil, prunes, soy beans, blueberries and foods rich in omega-3’s, like fish oil, may also have bone boosting benefits. While additional research is needed before the link between some of these foods and bone health can definitively be made, the many overall health benefits of these foods make them excellent choices to add to your diet. For example, new research suggests that eating 5-6 prunes each day helps to maintain bone density, supporting previous research that found eating 10-12 prunes every day for one year helped to increase bone mineral density and slow the rate of bone turnover. Prunes contain potassium, magnesium and vitamin K, all of which are important for bone health. Beans (legumes): While beans contain calcium, magnesium, fiber and other nutrients, they are also high in substances called phytates. Phytates interfere with your body’s ability to absorb the calcium that is contained in beans. You can reduce the phytate level by soaking beans in water for several hours and then cooking them in fresh water. Meat and other high protein foods: It’s important to get enough, but not too much protein for bone health and overall health. 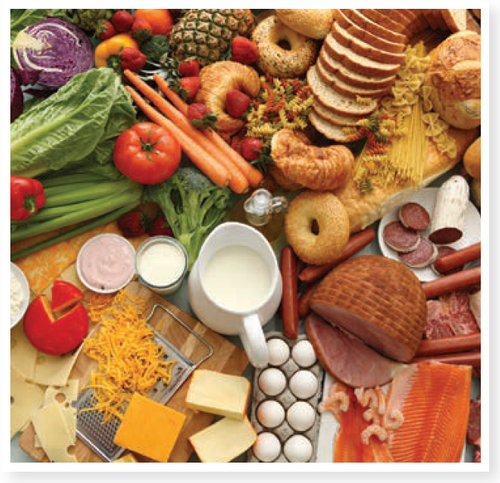 Many older adults do not get enough protein in their diets and this may be harmful to muscles and bones. However, special high protein diets that contain multiple servings of meat and protein with each meal can also cause the body to lose calcium. You can make up for this loss by getting enough calcium for your body’s needs. For example dairy products, although high in protein, also contain calcium that is important for healthy bones. Salty foods: Eating foods that have a lot of salt (sodium) causes your body to lose calcium and can lead to bone loss. Try to limit the amount of processed foods and salt added to the foods you eat each day. To learn if a food is high in sodium, look at the Nutrition Facts label. If it lists 20% or more for the % Daily Value, it is high in sodium. Aim to get 2,400 mg or less of sodium per day. Spinach and other foods with oxalates: Your body doesn’t absorb calcium well from foods that are high in oxalates (oxalic acid) such as spinach. Other foods with oxalates are rhubarb, beet greens and certain beans. These foods contain other healthy nutrients, but they just shouldn’t be counted as sources of calcium. Wheat bran: Like beans, wheat bran contains high levels of phytates which can prevent your body from absorbing calcium. However, unlike beans, 100% wheat bran is the only food that appears to reduce the absorption of calcium in other foods eaten at the same time. For example, when you have milk and 100% wheat bran cereal together, your body can absorb some, but not all, of the calcium from the milk. The wheat bran in other foods like breads is much less concentrated and not likely to have a noticeable impact on calcium absorption. If you take calcium supplements, you may want to take them two or more hours before or after eating 100% wheat bran. Alcohol: Drinking heavily can lead to bone loss. Limit alcohol to no more than 2 - 3 drinks per day. Caffeine: Coffee, tea and soft drinks (sodas) contain caffeine, which may decrease calcium absorption and contribute to bone loss. Choose these drinks in moderation. Coffee/tea: Drinking more than three cups of coffee every day may interfere with calcium absorption and cause bone loss. Soft drinks: Some studies suggest that colas, but not other soft drinks, are associated with bone loss. While more research will help us to better understand the link between soft drinks and bone health, here is what we know - the carbonation in soft drinks does not cause any harm to bone. The caffeine and phosphorous commonly found in colas may contribute to bone loss. Like calcium, phosphorous is a part of the bones. It is listed as an ingredient in colas, some other soft drinks and processed foods as “phosphate” or “phosphoric acid.” Some experts say that Americans get too much phosphorous, while others believe that it is not a problem as long as people get enough calcium. The harm to bone may actually be caused when people choose soft drinks over milk and calcium-fortified beverages. Luckily you can help make up for any calcium lost from these beverages by getting enough calcium to meet your body’s needs.